We have another podcast microphone showdown as I look at two USB podcast mics that you can use for recording audio. Audio-Technica’s popular ATR2100 USB/XLR hybrid microphone and IK Multimedia’s iRig Mic HD USB/iPad microphone. I have pitted the 2100 against the 2500 but now we’re looking at podcast microphone vs. podcast microphone. You can use these microphones with all iOS, Mac and PC software. These microphones will not work on an Android phone without 3rd party adapters. This is a Condenser microphone only in USB format. The micro USB cord is interchangable with USB, iOS 30-pin and lightning cables. One side of the microphone is a db volume dial and the other is an indicator light. The light is blue during passive sound states, green when signal is coming through and red if the signal is clipping. 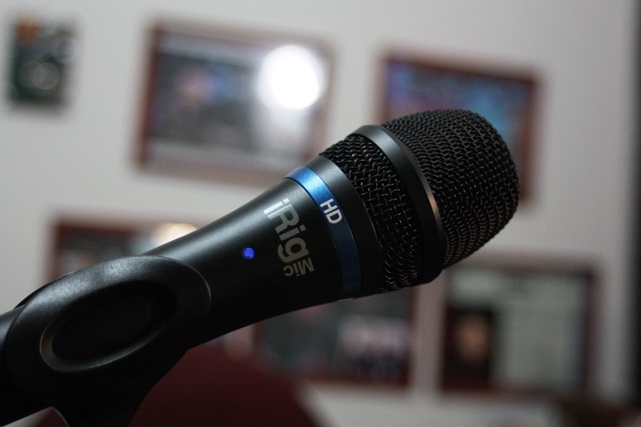 The iRig Mic HD has a range of 40-18,000 Hz with a -3db cut. This gives a better range for those with deeper or higher pitched voices. The db volume can help limit the sound in the room. It can also turn up if the signal is further from the microphone. A handheld dynamic microphone meant to be used in a live venue for music, comedians or anyone that needs to hold the microphone at times. It should be placed only a few inches from your mouth and sometimes can be controlled with a windscreen. 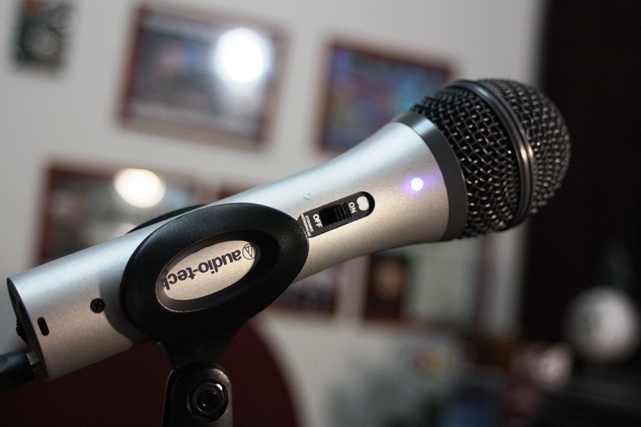 The ATR 2100 is a hybrid microphone – XLR to plug into a mixer and USB to plug straight into the computer. You can plug in both XLR and USB, then record from 2 sources. The ATR2100 has a range of 50-15,000Hz, so deeper voices will not get a good full range. When plugged in USB, it records 16 bit – perfect for a standard podcast. As you can hear in the video, the sound is pretty muffled unless you are close up to the microphone. This is running straight to USB with no added effects. The iRig handles the voice better with the improved range. The LED light helps you from clipping, but you cannot see the light if the microphone is in front of your face. The dial is awkward to maneuver although it does a great job at about 35% of full capacity. The price of the iRig is also twice of the 2100. IK Multimedia also has a host of great apps that add effects to your voice which you can download and use. In a pinch, I would go more for the iRig because of the vocal range and power adjustment.